Treasury department announced that they will discontinue selling paper savings bonds through banks and credit unions effective January 1, 2012. Savers and investors, myself included, will lose a convenient purchase channel. But they left open a small backdoor. If you really want paper savings bonds, either because you like them in paper form or because you want to buy beyond the $10,000/person limit, it’s still possible to get them after January 1, 2012. Note only paper Series I savings bonds (I-Bonds) can be bought this way. You can’t buy paper EE bonds with your tax refund. It’s not a big deal because EE bonds are not as good as I-Bonds anyway. How do you buy paper I-Bonds with your tax refund? There are extensive FAQs about this on their website. In a nutshell, you fill out a Form 8888 when you file your tax return. You tell the IRS to use part of your tax refund to buy paper I-Bonds for you, in multiples of $50. Suppose your tax refund is $2,437. You can tell the IRS to buy $2,400 worth of I-Bonds for you, with the remaining $37 refunded to you in a direct deposit or paper check. The first $250 will be issued in five $50 bonds. The rest will be issued in the fewest number of bonds for the amount: $2,400 – $250 = $2,150, which means you will get two $1,000 bonds, one $100 bond, and another $50 bond (total six $50 bonds including the first $250). Form 8888 has three lines for buying I-Bonds. Line 4 just says “for yourself (and your spouse, if filing jointly).” I suppose for a joint return it means the primary taxpayer as the owner and the spouse as the co-owner. Line 5 and Line 6 let you name the owner and co-owner or beneficiary for two additional purchases. For some odd reason a joint return can still only buy $5,000 maximum, not $5,000 for each person, whereas two single persons can buy $5,000 each. What if you don’t have enough tax refund or you will owe on your tax return? After you are done with preparing your tax return, don’t file it just yet. File a Form 4868, which is the request for automatic extension to file. Everyone is allowed to file an extension, even if you end up filing by the regular April 15 deadline. The purpose to file an extension is not to gain more time. It’s to send in a payment to create enough refund for your paper I-Bonds orders. On Line 7 of Form 4868 “top up” your refund to the amount you want in paper I-Bonds. Suppose your refund is going to be $2,437 and you want $5,000 in paper I-Bonds, pay $5,000 – $2,437 = $2,563 with Form 4868. You can either send in a check or use bank account direct debit with the Electronic Federal Tax Payment System. If you are going to owe $1,536, pay $5,000 + $1,536 = $6,536 with Form 4868 to create a $5,000 refund. After your check or bank debit clears, enter the extra amount you paid with Form 4868 on Line 68 of Form 1040. Your refund amount will change to the amount you want in paper I-Bonds. You then add Form 8888 for ordering paper I-Bonds. Why go through this much trouble to buy paper I-Bonds? Why not just buy online at TreasuryDirect? Not everybody wants to use the Internet to buy savings bonds. For parents and grandparents buying savings bonds for their children and grandchildren as gifts, an electronic record isn’t as presentable as a nicely printed paper bond. Because TreasuryDirect doesn’t mail or email any statements, it’s easy to forget that you have an account there. Accessing TreasuryDirect account, while super secure, is quite difficult. More importantly, for investors who want more than the $10,000/person limit in I-Bonds, this small backdoor is the only way to get in unless you create trusts. Currently five-year TIPS are selling at a negative real yield while I-Bonds have a 0% real rate. 0% beats negative. If I-Bonds continue to compare well against 5-year TIPS and other short-term fixed income investments, I will use this backdoor every year. Although the discontinuation of selling paper bonds through banks and credit unions will cause some inconvenience for me, I understand the reason for this change from the government’s point of view. The purpose of the Bureau of Public Debt is to borrow money at the lowest cost on behalf of taxpayers to fund the government. It’s not in the business of selling gift certificates to parents and grandparents or giving investors an above-market return. Selling savings bonds to retail savers and investors is not an efficient way of borrowing money. Treasury can sell more TIPS at a lower yield in one morning than they sell savings bonds in an entire year. Why pay a higher interest rate and take on a higher distribution cost? It doesn’t make sense to the Treasury. We all want an efficient government, right? If I’m the director of Bureau of Public Debt, I would just eliminate the savings bonds program altogether. I’m glad they still have the program online and they left a small backdoor for paper as well. For the gifting market, if there is enough demand, banks and credit unions can fill the void and start selling printed Certificate of Deposit. They can offer designs kids and parents want — animals, flowers, sports, action figures, princess, etc., etc. They can include a QR code on the certificate to make it easy for kids to check the value with an iPod. As long as there is enough demand, that demand will be met. For investors who just want an above-market return on more money, too bad, the easy days are over. Jump through some small hoops. Your diligence will be rewarded. I don’t think the January 15 deadline would apply since it should only be used to calculate interest due on late payments. But if you’ve had enough withholding throughout the year then there is no interest due. But to be completely safe, you can make your additional payment any time up to the regular filing deadline by sending a check with form 4868 (application for extension of time to file). Even if you file for an extension there’s nothing to prevent you from later filing on time if you choose. Remember to include the additional amount on the appropriate line of your tax return: depending on type of payment it’s either line 62 or 68 of form 1040. @Me – That’s even better. After you are done with your taxes, file a Form 4868 and pay enough to make the refund amount $10,000. Wait a week for your check to clear or use EFTPS and then file the tax return. Minimal loss of interest and no estimating how much you have to pay. Brilliant! I will update the post with this solution. @ajk – Those two things are separate issues with electronic bonds. An email is not nearly as presentable as a nicely printed certificate. And by statements I mean monthly account statements showing the bonds owned and their values. Without those statements, it’s easy to forget you even have an account. Would it be possible to buy “backdoor paper I bonds” for a revocable trust (additionally to individual per SSN purchases)? @DT – If the trust doesn’t file a tax return and therefore doesn’t get a tax refund, I don’t see how it’s possible. You can buy $5,000 online for the trust but that’s about it. You may request up to three different savings bond registrations. However, each registration must be a multiple of $50, and the total of lines 4, 5a, and 6a cannot be more than $5,000 (or your refund amount, whichever is smaller). @ew – Thank you for the catch. I updated the post. Oh well, it’s still better than nothing. We are witnessing another marriage penalty. A married couple filing jointly can only buy $5,000 total but if they are not married, they would be able to buy $5,000 each person. Am I the only one actually reading the announcement…where does it say paper savings bonds are being discontinued ENTIRELY? Do people not see that you can buy these online? Just the banking institutions stop selling paper bonds…not that they sell that many willingly…they don’t earn any money from handling them from what I have heard. Just stop by a bank today and try to buy one…chances are only one person at the branch has a clue, and less than one person has a clue for ACCURATELY calculating the interest when redeeming. @william edwards – Treasury has stated that the mail-in order form will be removed after 12/31/2011. The web form you linked to is basically the same main-in form reformatted. The electronic bonds you buy at TreasuryDirect stay electronic. You don’t get paper bonds mailed to you, except when you buy through tax refund, as stated in the announcement. I was converting my emergency fund to I-bonds. As stated, CPI + 0% is a lot better than the guaranteed negative return available elsewhere right now. Way to go treasury lowering the purchase limit by 92%. I think I will do this backdoor before they shut it too. This change saves no significant money and makes us further indebted to China. TFB: what’s your source for “Treasury has stated that the mail-in order form will be removed after 12/31/2011”? I read the Treasury press release “Treasury to End Over-the-Counter Sales of Paper U.S. Savings Bonds”, but that’s about “over-the-counter” and “financial institutions”. TreasuryDirect says “You may purchase I Bonds via TreasuryDirect and at most local financial institutions, or by using our online mail-in order form, or with your IRS tax refund.” That sounds like the Treasury considers “mail-in order form” to be separate from “financial institutions”. @Steve – Someone posted in the Bogleheads investment forum an email response from a customer service rep of TreasuryDirect. I only want to buy paper. Does anyone know if I can buy paper bonds in another country? Is that possible? Do I need a broker? I think the whole thing is just beyond stupid. This will effectively kill the whole consumer savings bond program. They may as well just end it completely. What old person or low income person without internet access is even going to bother. The new hoops are just too many to jump through. Payroll deductions or bank purchases were at least simple and widely available, and didn’t require someone to have a brokerage account or pay transaction fees. It was a good way for middle and lower income families to save. To say well the govt. is in the business of getting low interest money and not providing investment vehicles for grandparents undercuts the value of the program from its inception then, doesn’t it? Why were bonds great before, yet now are just all around bad? To give one of the new electronic-only “bonds” as a gift, the recipient has to have his own individual electronic account! It’s ridiculous. No one thought vouchers or some other means would be more appropriate? Amazing how other government agencies like the IRS and others still use paper forms. Why is the office of the Public Debt so special? No, this switch is just an underhanded effort to strangle the sale of savings bonds to consumers and effectively end the program — all without having to tell grandma and grandpa that allowing patriotic Americans to invest in their country by buying savings bonds was all just a farce that cost more to administer than it brought in. Just make getting them so onerous that most people wouldn’t bother anymore. No? Well there goes financing to help the federal government. My intent was to give grand kids bonds for every occasion. Certainly not now! Too many hoops to go through and grand kids don’t gets-mail. Couldn’t one just send in an excess amount with a 1040-ES quarterly voucher up to the January deadline, then use the 8888 form for the issuance of I-Bonds as a refund of the excess? @Stan – Yes, but you won’t know the exact amount you need to send in by the January deadline. You may end up short. Or you will have to over-estimate. You also tie up your money longer. @TFB – I can be fairly certain about my actual tax obligation, and could simply over-pay in the January 1040-ES by the amount I wish to have refunded in I-Bonds. Tying up ‘safe’ short-term money these days carries no penalty of lost earnings, as there are none to be found thanks to all the manipulation underway. I do feel a little queasy about this approach, as it seems a bit devious. Does anyone have an opinion about the propriety of over-paying estimated tax for the sole purpose of harvesting I-Bonds? Does this conflict with any rules? @Stan – I know of no rules against citizens paying more taxes than they owe and paying earlier than the due date. The IRS encourages taxpayers to buy savings bonds with their tax refund. Just to clarify, one can pay online from a checking account at https://www.eftps.gov/eftps/ without needing to file an extension and then claim the 5000 as I bonds via Form 8888 at time of filing? Also is now a good time to buy the 10,000 I bonds electronically from Treasury direct or should we wait till March/April? @John – Yes, the instructions on Form 4868 say if you make a payment with EFTPS, you also get an extension and you don’t have mail the paper 4868 form. Since EFTPS is used for many purposes, I imagine you will have to do it the right way to indicate your payment is for a 4868 extension. Although it’s doable, it just seems a lot of trouble to enroll, set up password, etc. just for this purpose. The paper form is quite simple. Yes now is a good time. Not necessary to wait till March or April if you already have the money. You can wait a couple weeks if you’d like. Buying near the end of this month will give you the same amount of interest as buying now. More of a question without a solution. My wife and I have funded our 6 grandbabies with paper I-Bonds for their education each year and we are now unable to purchase paper bonds as of 12/31/2011, except by use of a tax refund. Too late this year for my wife and I to “overpay” our taxes so it looks like to do this we must work with their individual parents tax returns to get their 2012 education funds. However, Form 8888 only allows 2 items to be shown on part II of the form and the IRS says only 1 form 8888 can be filed with each return [made 2 calls to them for clarification]. Since my wife and I file jointly, and we have 6 grandchildren, and the IRS only allows 2 persons listed on form 8888, that leaves 4 grandbabies with out their paper bonds. Can you see any solution to this problem for next year? THANX FOR THE EARLIER INFO. WE FILED THE 4868 EXTENSION, PAID ENOUGH TO FUND NEW I-BONDS, WAITED FOR CHECK TO CLEAR MY BANK AND THEN FILED THE REGULAR 1040 WITH THE 8888 ATTACHED VIA E-FILE ON 2 DIFFERENT DATES 2/24 AND 3/8. BOTH REJECTED FOR E-FILE, REASON: FORM 8888 COMPUTER CROSSCHECK FOR LINES 1 AND 4 ON THE 8888 DID NOT MATCH. THE IRS IS STILL CHECKING THE NEW FORM 8888 USING THE 2009 FORM 8888 FORMAT WHERE LINES 1, 2, AND 3 MUST EQUAL LINE 4. THE NEWEST FORM 8888, LINES 1 THRU 7 MUST EQUAL LINE 8. THE OLD 8888 ONLY HAD 4 LINES, THE NEW 8888 HAS 8 LINES AND 4 SECTIONS. IN OTHER WORDS, THE NEW 8888 MUST BE SENT IN ON A PAPER FORM AND CAN NOT BE E-FILED AS OF TODAY BECAUSE THE IRS IS USING AN OUTDATED FORMAT TO CHECK THE NEW FORMS. WEBSITE SAVINGSBONDS.COM IS SPONSERING A PETITION DRIVE TO BRING BACK PAPER BONDS – THEY NEED 100,000 SIGNATURES, LETS GIVE THEM A HAND. I USED TO PURCHASE PAPER U.S SAVING BONDS EVERY YEAR, NOW I HAVE NOT PURCHASE US SAVING BONDS SINCE 2011. I WOULD GREATLY APPRECIATE IF THEY WOULD START LETTING PEOPLE BUY THEM, AGAIN, BECAUSE I’M A DISABLED VETERAN, I DON’T NEVER HAVE TO FILE FOR TAXES BECAUSE MY MONEY IS TAXED, PLEASE LET ME KNOW WHAT I CAN DO TO PURCHASE PAPER SAVING BONDS. 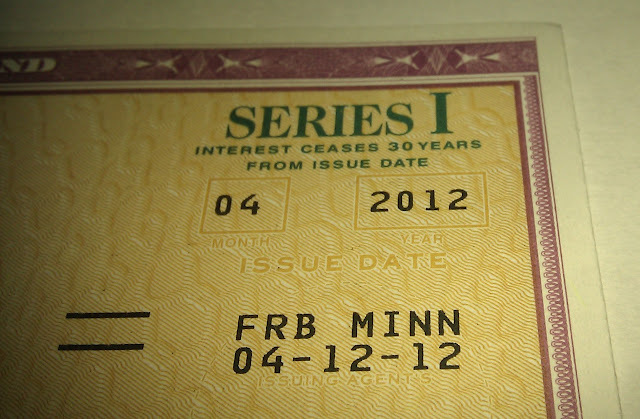 Using the tax refund is the only way to buy paper savings bonds right now. sent in another 1040 last night with the 8888 atached for I-Bond purchases and e-filed the return. Took the IRS a long time to “accept your return” but they did. Great news, maybe my long conversation with the IRS last week had some changes made to the e-file system. Good luck …. Thanks for the posting, I followed your directions and things went smoothly to buy an I-bond: I did not e-file. This Form 8888 approach to getting part of my refund in Series I bonds did not work. The Form 8888 instructions state that the savngs bonds will be not issued if there is a math error that decreases the refund amount shown on the tax return. The IRS calculations showed that my refund was one cent (yes $0.01) less than what I calculated ($xxx5.99 vs. my calculated $xxx6.00 refund). I can only explain the diference in that I rounded all my figures to the nearest dollar amount as allowed in the Form 1040 instructions. This penny difference was apparently enough to have my saving bond request rejected. The IRS didn’t follow their own rules and direct deposited the entire refund amount to my checking account (the instructions indicated that they’d mail me a check). At least I got all but a penny of my refund. Advice seems to be not to round your figures to the nearest dollar as allowed per the Form 1040 instructions. Please sign the petition to bring back paper bonds. U S Mail on 3/1/12 due to e-file rejection. Like Mike, I did not get my I Bonds. The CF53 they sent me said they could not do the direct deposit because the refund amounts did not “match,” which is not true. I’m wondering if they used an erroneous method of reading and totalling the Form 8888 numbers, as Bob suggested above. My refund check was mailed to me and was EXACTLY the same amount ($5100) as the refund amount on my 1040, and on the Form 888 I had used to request direct deposit/I Bond split ($100/$5000). Does anybody know (Bob?) whom I could contact at the IRS? I don’t want to cash the check, I want my I Bonds!!! Anyone successful in reversing this after talking to the IRS? Update: it seems that this cannot be undone. I was finally able to speak to an IRS representative couple weeks ago:(waited twice about 15 minutes) got transferred to advanced accounts but then got disconnected about 10 minutes into our conversation when the advanced specialist was about to talk to the “bond specialist”; I called again another day, got transferred to advanced accounts (again 15 minutes x 2 wait time) . This advanced accounts person told me right away that in his experience once the IRS issues a refund to the bank account, they are unwilling to reverse it and issue I-bonds instead. At that point that was enough for me. I had the same experience, nlof. I waited 15 minutes on two occasions to talk to IRS representatives, and the second time, the gentleman was kind enough to tell me that it was essentially hopeless to rectify this error once it has been made. He was diplomatic about it, but grateful that I immediately grasped the futility of expecting the bureaucracy to respond in a rational way. I was just glad he clarified that I’d be wasting any more time attempting to correct the mistake. I deposited the check immediately after that conversation. Maybe I’ll try again next year, maybe not. It was disappointing, and worse, the peek into the chaos behind the scenes was not reassuring about how our government works. The annual I-Bond purchase limit in prior years (say 2000 for example) was much higher- $30,000 I believe. We purchased MORE than this annual limit- what are the consequences? Who keeps track of how much was purchased? Anyone?